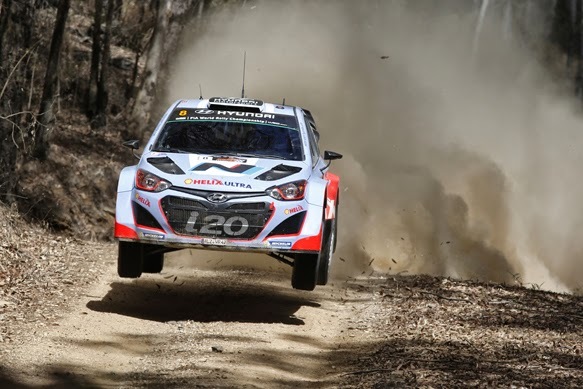 The 2015 World Rally Championship format will finally be agreed via a specially-convened WRC Commission meeting and FIA World Motor Sport Council e-vote next month. Controversial changes to the Powerstage system were expected to be ratified by the WMSC in Beijing earlier this month, but despite getting unanimous WRC Commission approval, the scheme was unanimously rejected by the FIA's rule-making body. The WMSC asked for a review of the proposal, which is aimed at reducing the time gaps between crews to close up competition and improve the chances of position change on the final stage. The WRC Commission - led by FIA president Jean Todt - will meet in Geneva on October 16, with a WMSC decision expected quickly afterwards. FIA rally director Jarmo Mahonen said: "It was important to reconvene the WRC Commission as soon as possible, in order that we have the opportunity to re-discuss our proposals for the future. "There will be an [WMSC] e-vote as soon as possible after the meeting." OPINION: Has the WRC missed an opportunity? WRC Promoter's Oliver Ciesla remains convinced that the radical format change will still go ahead. "I believe this is the right step for the WRC to move forward and achieve the objective of reaching more people," he said. "I have no indication that we should not be optimistic."